Dr. Natalie Batalha is an astrophysicist at NASA Ames Research Center and the Mission Scientist for NASA's Kepler Mission. She holds a Bachelor's degree in physics from the University of California (UC), Berkeley, and a Doctoral degree in astrophysics from UC Santa Cruz. 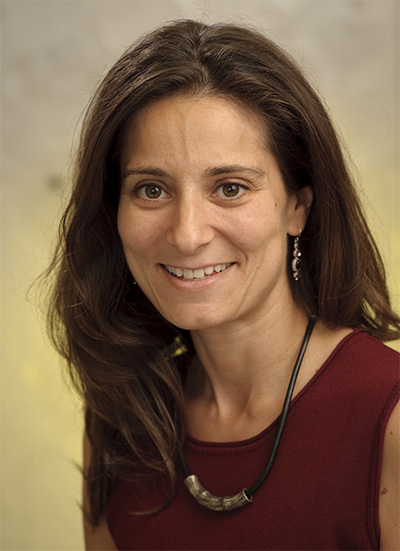 Dr. Batalha started her career as a stellar spectroscopist studying young, sun-like stars. After a post-doctoral fellowship in Rio de Janeiro, Brazil, she returned to California. Inspired by the growing number of exoplanet discoveries, she joined the team led by William Borucki at NASA's Ames Research Center working on transit photometry -- an emerging technology for finding exoplanets. Dr. Batalha has been involved with the Kepler Mission since the proposal stage and has contributed to many different aspects of the science, from studying the stars themselves to detecting and understanding the planets they harbor. She led the analysis that yielded the discovery in 2011 of Kepler-10b — the mission's first confirmation of a rocky planet outside our solar system. Today, she leads the effort to understand planet populations in the galaxy based on Kepler discoveries. She served ten years as professor of physics and astronomy in the classrooms of San Jose State University before joining the Astrophysics Branch of the Space Sciences Division of NASA Ames Research Center. In 2011, Dr. Batalha was awarded a NASA Public Service Medal for her vision in communicating Kepler science to the public and for outstanding leadership in coordinating the Kepler Science Team. In 2015, she joined the leadership team of a new NASA initiative dedicated to the search for evidence of life beyond the Solar System. NASA's Nexus for Exoplanet System Science (NExSS) brings teams from multiple disciplines together to understand the diversity of worlds. Kepler has demonstrated that earth-size planets abound in the galaxy. NExSS will lead NASA's efforts to understand which are most likely to harbor life. Dr. Batalha has been named one of the most influential people on earth by TIME Magazine (Time 100) in 2017.